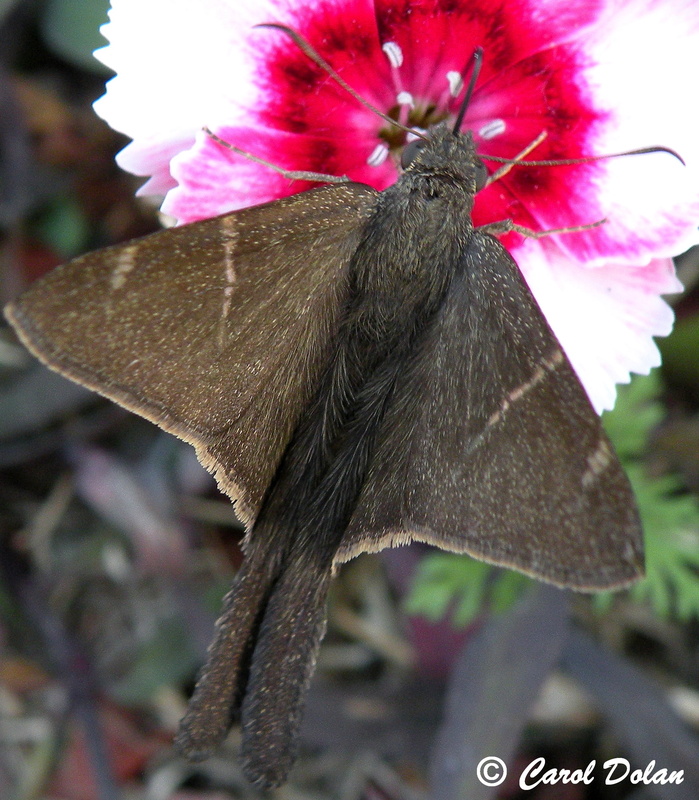 Identification: Tailed; wings are brown. 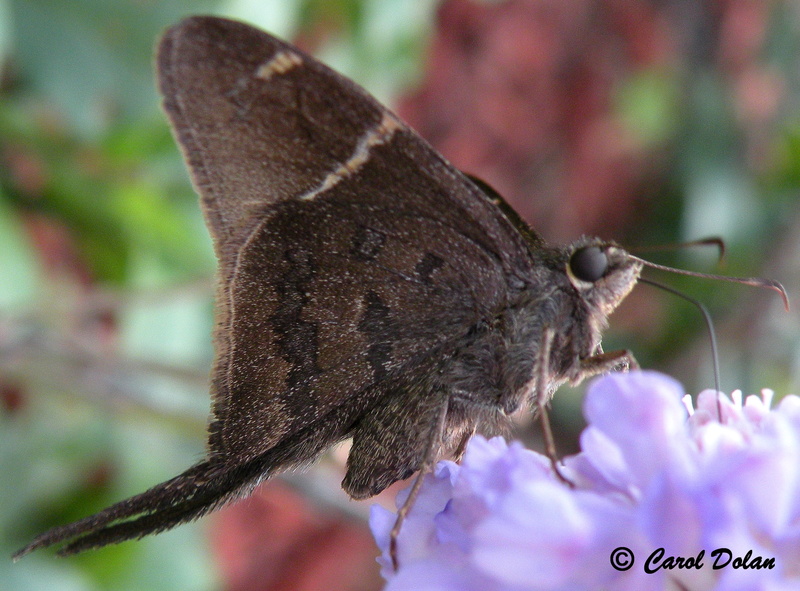 Forewing has a narrow white band or it may be lacking. 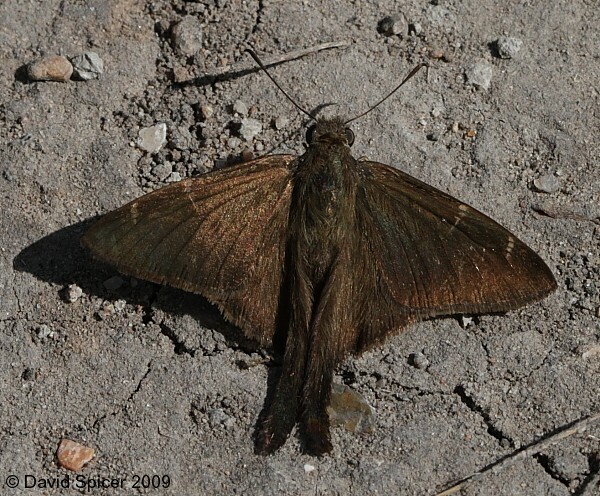 Males have a costal fold enclosing scent scales on the leading edge of the forewing. 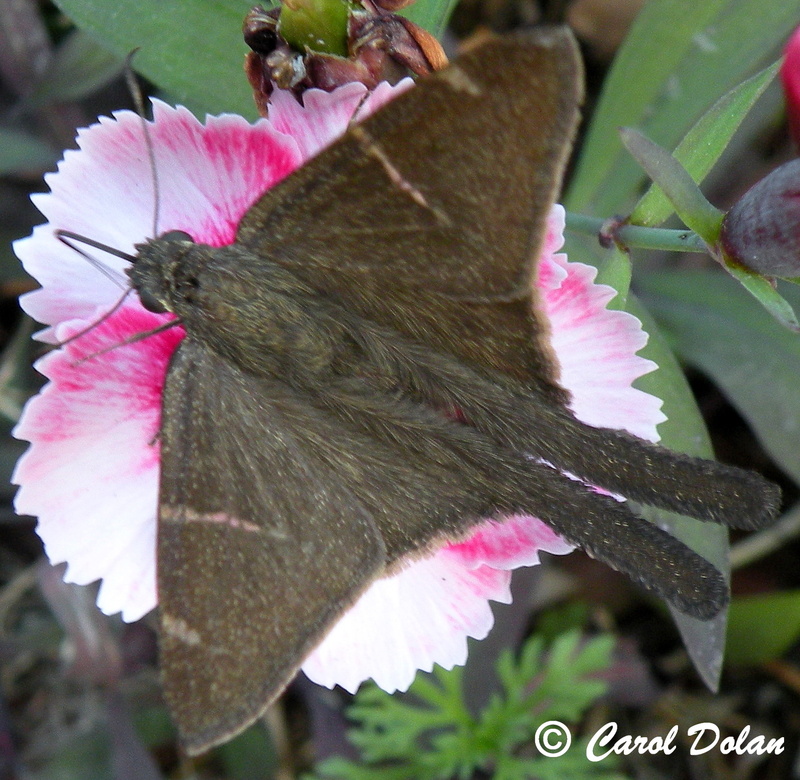 Inner band on the underside of the hindwing is separated from the brown spot near the costa. Life History: Females deposit eggs on the host plants. Caterpillars eat leaves; young ones live in a folded leaf nest. Flight: Three broods throughout the year in South Texas. Caterpillar Hosts: Grasses including Bermuda grass (Cynodon dactylon) and Johnsongrass (Sorghum halepense). Habitat: Grassy openings in tropical and subtropical forests. Range: Argentina north through Central America and Mexico to South Texas. A rare stray to southern New Mexico, southern Arizona, and southern California. Conservation: Resident populations in the lower Rio Grande Valley should be monitored and conserved. Management Needs: Maintain habitat in lower Rio Grande Valley refuges, parks, and preserves.